This is a guest blog by Mark Kelliher. You’ve secured a great space, decided on a strategic ticket price to maximise profits, implemented your marketing plan and now you’re hoping for the best. Seems like a pretty typical set up for an event of any kind. But are all parties involved in your event pulling their weight? If you have talent at your event, have you provided them with the social copy to add to their next Instagram or Facebook post? Or how about your venue? Most venues have a very comprehensive database of customers as they put on events day in, day out. So are you making the most of this promotional tool? Let’s take a look at three ways you can engage with your venue and sell more tickets. Venues often have large customer databases from past events so insist that they include your event in their next (and subsequent) email blast. Make this as easy as possible for your venue marketing contact by providing the exact copy you’d like, accompanying image or video link, and timings you’d like the email to go out (you might not get to dictate this but the earlier you ask, the more likely you’ll be able to secure an ideal send date). Email blasts, depending on the size and event frequency of the venue, are often made up of multiple messages. So the earlier you approach the venue and the more convenient you make it for them (by supplying precise copy and assets), the more likely it is that your event will gain placement in a prominent position (near the top!). I’m sure by now you are very much aware of the importance of social media and its effectiveness in both promoting your event and selling tickets directly to your audience. But are you making the most of your venue’s social channels? It’s easy to apply tunnel vision when you’ve got an upcoming event, as let’s be honest, it’s a lot of work. Taking care of your own channels can be time-consuming enough, but don’t miss a trick when it comes to maximising promotional tools. Your venue’s social channels are a crucial medium for increasing ticket sales. Again, this is often an audience you may not have reached through your own marketing efforts, so ensure you approach the venue to post about your event on a regular basis. Supplying an allocation of tickets to give away is a great way to encourage this activity and suggesting a simple ‘tag a friend to win’ mechanic will allow you to reach a wider circle than their own followers. The venue should be very happy to comply as they want to see your event do well. But after a couple of posts, they may get a little tired of your emails asking for social love. If you do get pushback, there is a very easy solution – ask them to create a ‘dark post’ (or unpublished post) on Facebook which means that the post won’t remain in the venue’s page feed. 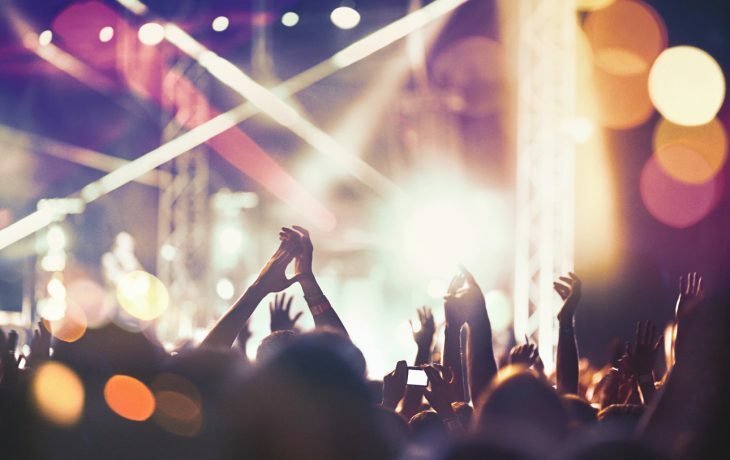 Now your event is not bombarding their organic followers but you can still reach a targeted group of potential ticket buyers from the venue’s channel. Oh, and offering to pay for the Facebook boosted dark post will always help. Start at £50 and see how it performs before adding more. I realise it’s 2018 and you’re not spending the majority of your marketing budget on a huge outdoor poster campaign, but ensuring your venue has access to impressive visual assets to use in their space is still a beneficial way to maximise exposure in the lead up to your event. Find out the specifications for displaying either physical or digital posters and supply the correct assets early on (i.e. when you go on sale) so that you’re reaching an audience who are already active event goers. Don’t underestimate the effectiveness of a striking poster as punters wait in line for the bathroom and want to find anything to focus on that helps them avoid conversation with a fellow attendee. Be bold with your visuals so they draw attention, be concise with your copy (use key event info including name, date, headline talent and how to get tickets) and take advantage of the eyeballs rolling through the venue week in and week out in the lead up to your event. These may all seem like straightforward marketing activities, but they don’t take place without the persistence of the event organiser ensuring they do. It is in the venue’s best interest to ask you for assets and promote your event using the listed channels but they are often dealing with multiple events and it’s very easy for yours to end up at the bottom of the to-do list if you don’t drive the conversation. So, assume that no promotional activity will take place without your input. By providing the assets and being proactive, you’re ensuring that it doesn’t become an extra task for the venue and one that they may not have time to prioritise, and you are ensuring that you have the best opportunity possible to access this new audience and gain more exposure for your event.